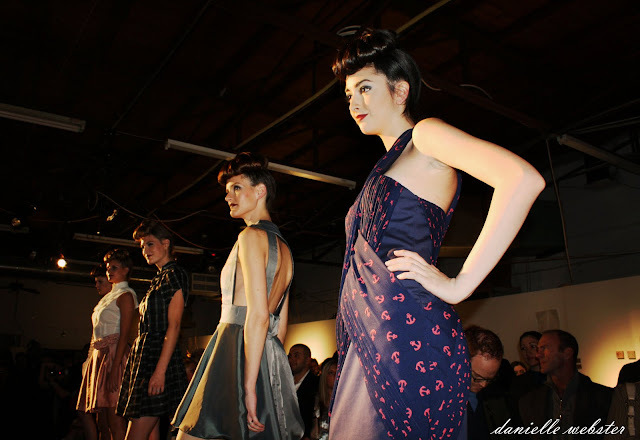 Senior student Jonathan Aparicio's designs were featured in a charity event, the Dallas Fashion Art 2010. Along with Jonathan, designs from UNT alumni Morgan LaRochelle and Chef Blythe BeckCharity were also featured in the event. The charity was for Catholic Charities, the Whitmore Institute (Clinic for CFS/ME/Fibro), it was for Nuero Immune Disease research. The show took place in the 4 Dog Studion on January 28, 2010.